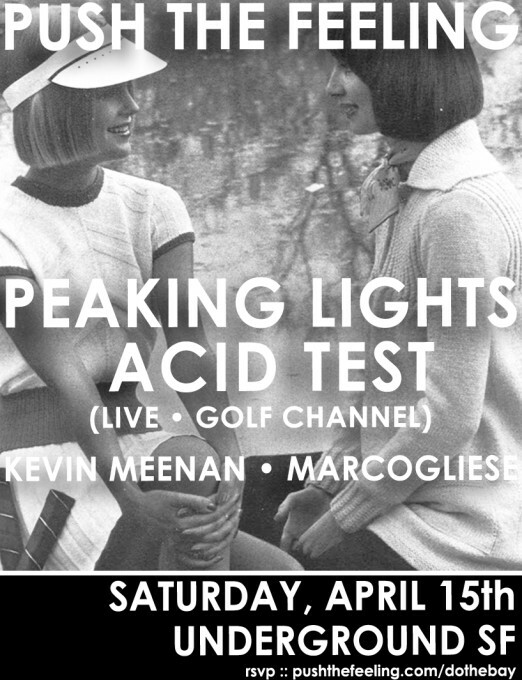 PEAKING LIGHTS ACID TEST AKA P/LSD is a live instrumental disco dub version of Peaking Lights songs and other original material with APC (Aaron) playing solo, handling the synths and manning the controls. Dance floor friendly, the tracks come off as Balearic upbeat and groovy with moving rhythms ranging from 80-124 bpm. The sets tend to have a nice arc as they build up in intensity.